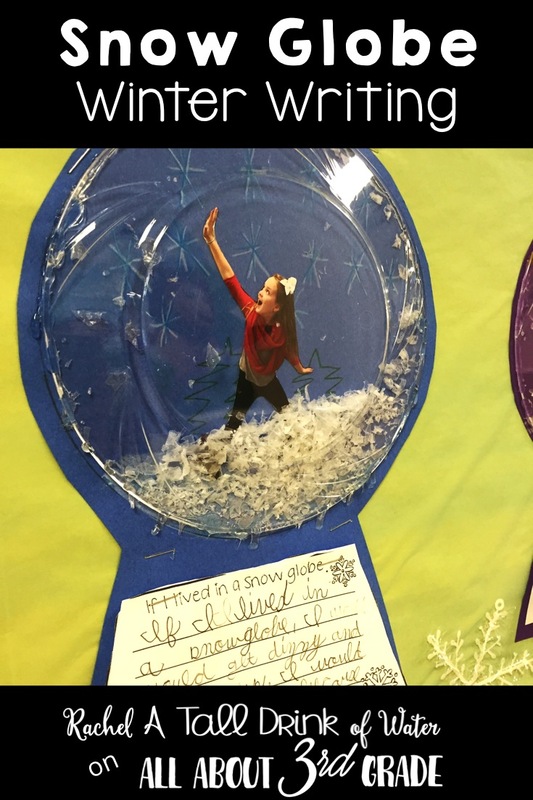 The snow globe in winter has to be one of my all time, favorite writing prompts! The kiddos are so engaged and the parents love it! Plus you're bound to get many compliments on your display! I honestly don't give much instruction with it. I let them get creative and move through the writing process. I plan a day when they bring in their hats, gloves, scarves, etc. (We live in the south, so we don't get to wear them often!) and I take their picture in whatever pose they chose. 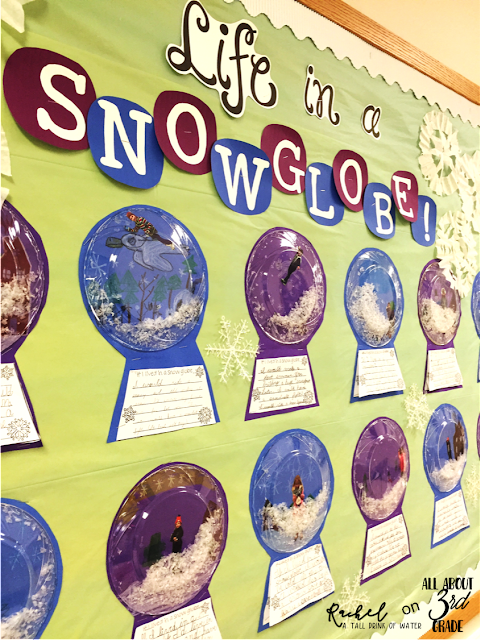 Students then write their story on the snow globe paper, draw their background, and place themselves in the globe. We add a dab of fake snow in the middle, then I hot glue the clear plastic plate on. VIOLA! 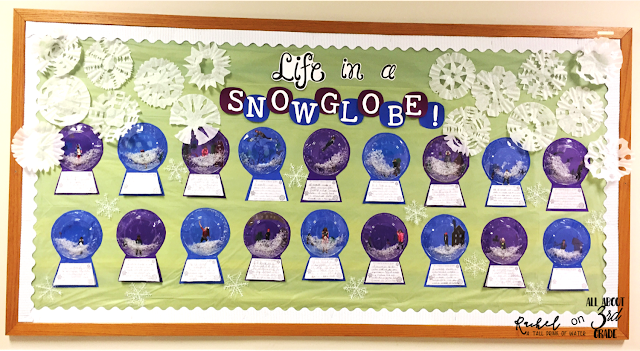 Snowglobes! It makes such a cute display! We also make snowflakes to go around our bulletin board. I give them coffee filters and let them go to town. What's your favorite writing prompt for winter? Share below! Is there a template for this activity? I found the writing paper for free on TPT. Other than that, I just traced the plate for my students to have a place to draw their scene and just cut around the paper to make the globes. 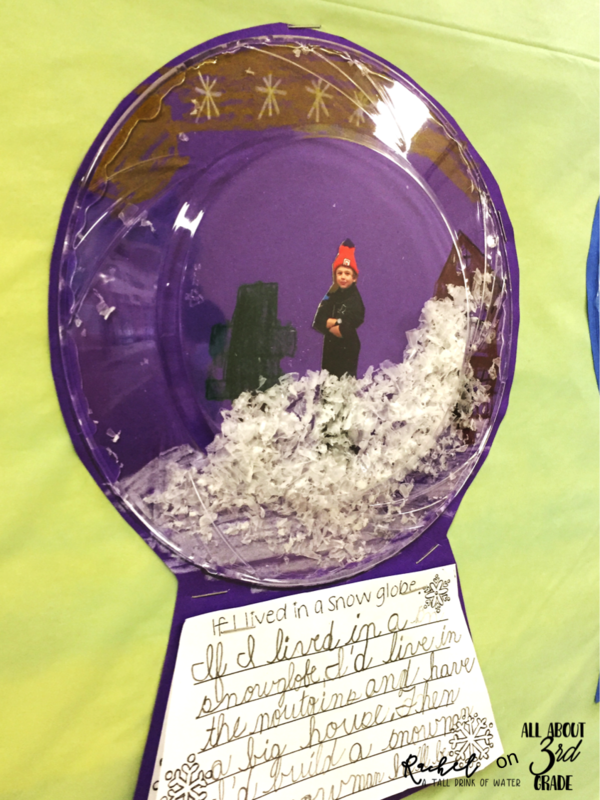 i read the snowglobe family and did the writing activity from TPT. 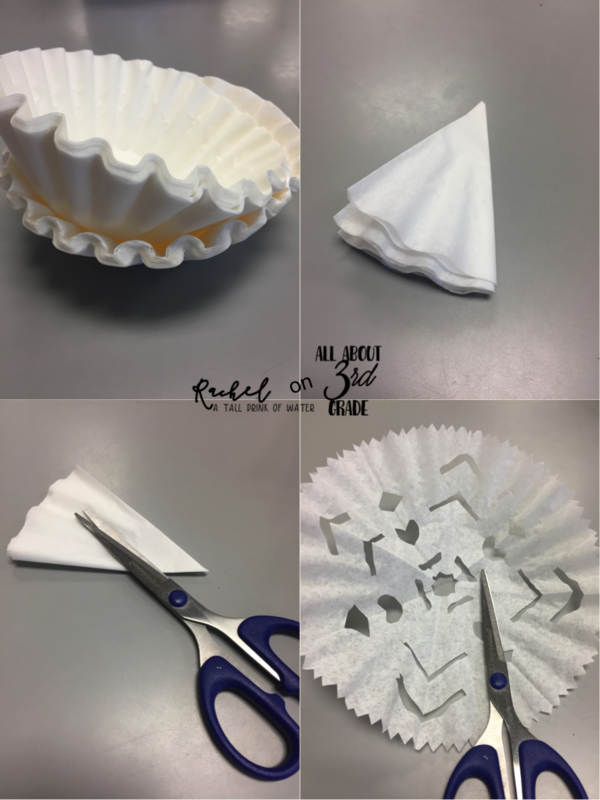 I am going to step it up using your idea. thank you so much!!! !